Money Magazine named Lee’s Summit, Missouri as one of the nation’s “Top 100 Best Cities to Live in.” Lee’s Summit was also ranked among the “Top 10 Happiest Places” in Missouri, perhaps that is why this remarkable city continues to be a popular destination among home buyers looking to relocate in the Kansas City Metro area. 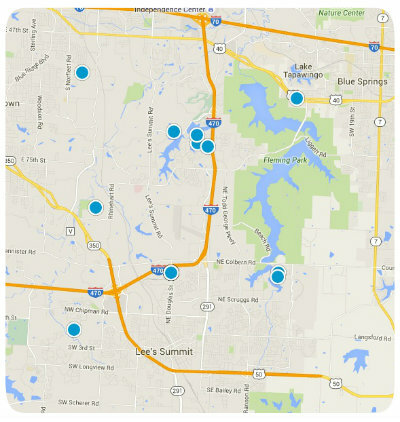 Within Lee’s Summit there are numerous real estate options in its many luxurious and impressive neighborhoods and subdivisions. One of its more noteworthy communities is that of Charleston Park. Charleston Park is an excellent place to buy a home in Lee’s Summit. This impressive subdivision is comprised of a few smaller communities including Ashton at Charleston Park and Somerset at Charleston Park. Somerset at Charleston Park has a pleasant small town ambiance despite being just minutes from all the excitement of Kansas City, including its top-notch shopping, dining, entertainment and recreation. Somerset at Charleston Park is an excellent choice for retirees, young professionals and families alike. Homes for sale in Charleston Park vary in price depending upon the property’s age, size, location, architectural style and special features. The median listing price for a Charleston Park home is $278,250, or $110 per square foot. Somerset at Charleston Park was created in 1994 and is a planned “Community of Excellence.” The 270 single family homes in Somerset are spacious and beautiful, sure to please even the most discerning of home buyers. If you are looking to relocate in the Lee’s Summit, Missouri area, you should consider the real estate options of Somerset at Charleston Park. This wonderful, family-friendly community is served by Prairie View Elementary School, Pleasant Lea Middle School and Lee’s Summit High School in the prestigious Lee’s Summit school district. If you have questions regarding homes for sale in Somerset at Charleston Park in Lee’s Summit, Missouri, please do not hesitate to contact us today for more information.